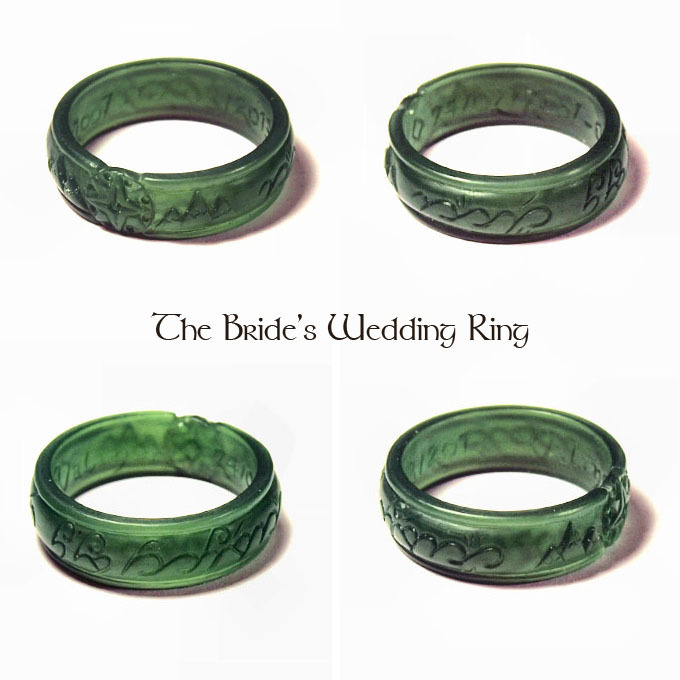 I'm getting married on march, saturday the 2nd, and our wedding will be almost fully based on a LOTR theme. 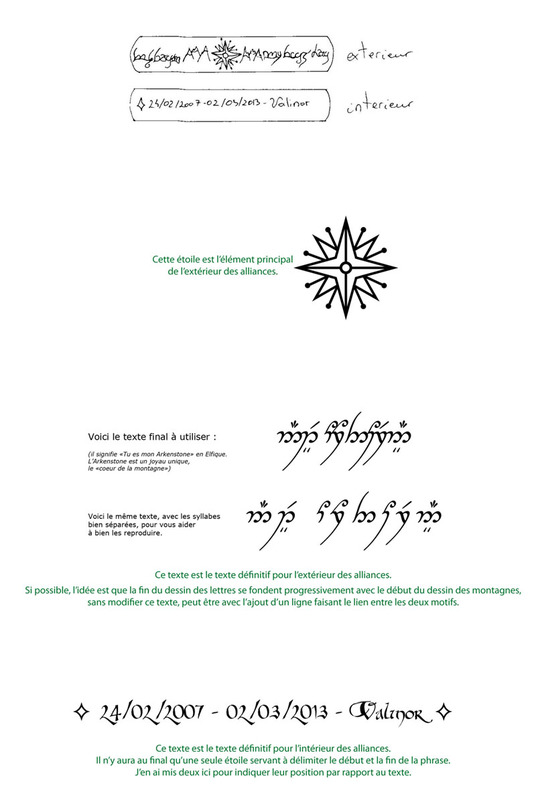 - "this star is the main element for the outside of the rings"
- "here is the final text to use"
- "It means "You are my Arkenstone" in Elfish. 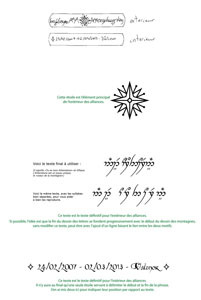 The Arkenstone is a unique jewel, the "heart of the mountain" "
- "This is the final text for the outside of the rings. If possible, the idea is that the end of the letters progressively blend with the beginning of the mountains' drawing, without modifying this text, perhaps by adding a line in order to join the two designs." 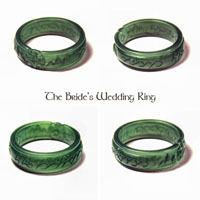 - "This text is the final text pour the inside of the rings. In the end there will only be one star, in order to separate the end of the sentence from its beginning. Here, I draw two stars in order to indicate its position from the text. I want to thank Gladhaniel, Vea Mi Olori, and Isildilmë very much for their help ! Looks wonderful! May it bring blessings to your union! What a huge and wonderful project ! I'm happy I've been part of it ! You'll have very unique and special rings, I can't wait to see the result ! 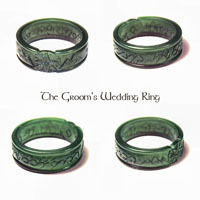 Wow, the rings are beautiful! I hope the wedding was lovely and you've had a very happy start to your married life! We have our wedding photos online ! If you want to see the rings specifically, go to "page 3" and view "objets - couleurs" and "objets - N&B". You had a lovely wedding! All the best to the two of you! This will be a very short post, as I wrote a longer one directly to darktagnan in an email. It's wonderfull to see all of your process, and to see you come back with pictures of the wedding.